We’re mighty proud of the Frontera Farmer Foundation, our nonprofit that has awarded nearly $1.3 million in grants to Midwest family farms since its inception in 2003. And we are proud to once again announce that the grant application period for 2016 remains open. To see the eligibility requirements and download the grant application, visit this page. If you’re considering applying, don’t delay: the deadline to submit paperwork is February 27, 2016. 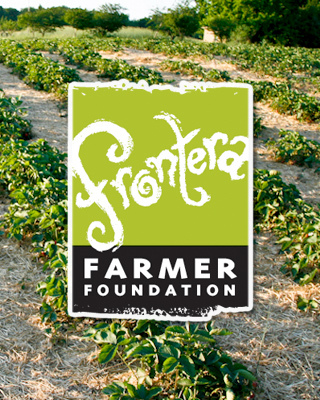 Established by Rick and Deann Bayless, the Frontera Farmer Foundation is committed to promoting small, sustainable Midwestern farms serving the Chicago area, by providing them with capital development grants. Small local farms, which often struggle financially, are more likely to promote biodiversity by planting a wide range of produce and operate using organic practices. By their artisanal approach to agriculture, the freshness of their product and the variety of their offerings, these farmers insure the highest quality food while they add immeasurably to the fabric of their local rural community. Nonprofit organizations devoted to the growth of sustainable farming are becoming more prevalent and necessary due to the increasing dominance of large corporations in the agricultural sector. Without small sustainable farmers, great local cuisine is unreachable. To learn more about the Foundation’s efforts, please see this page. Your foundation is such a valuable asset to our planet…. as are your projects in dining, theater and cooking. 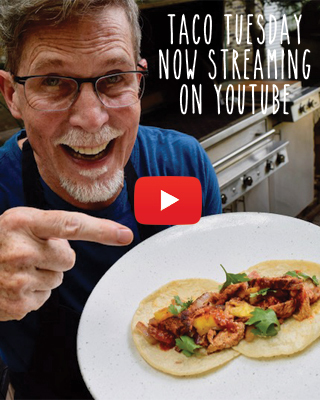 I spoke with Rick Bayless in July, 2014 after the performance of Casabel. The dream of an historic hotel on Washington Island, Wisconsin has become a reality and now…. a farm has been purchased to raise organic produce for the hotel I wonder if your grants are only available to farms that provide produce to the Chicago area. This is a rural area that has many challenges because of the seasonal tourist business and a huge potential for projects to promote sustainable farming. Thank you for all you do to create abundance on many levels for many people. I am dedicating my self to be a part of concern for farming incentive as their in the front of life. Without farmers/fishermen, there is no life in the world, but how many people pay attention on them. – a seed need 4-5 months to be several sheafs of rice before in their plate. – a cup of milk generated from a dairy cattle feeding certain grass before milking.